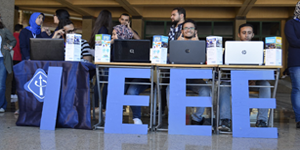 Pharos Student Branch of the Institute of Electrical and Electronics Engineers (IEEE) held its annual orientation session for new students on Tuesday 17/10/2017 at the entrance foyer of the faculty of Engineering. 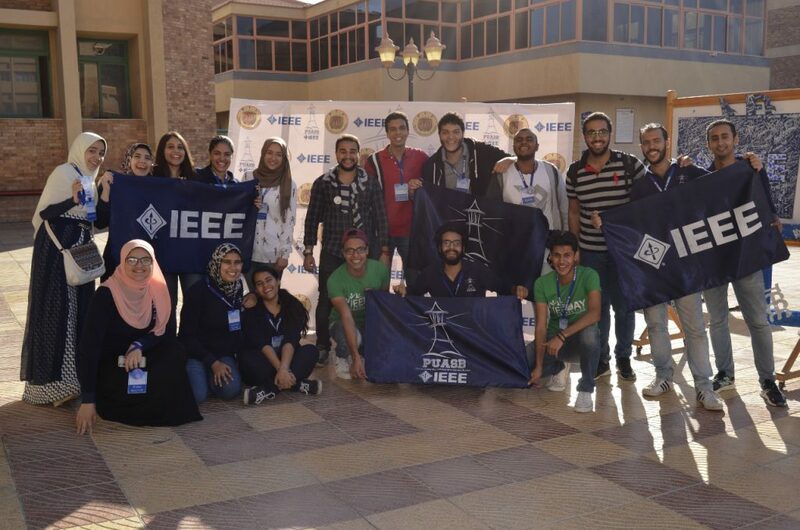 This session was held to acquaint PUA students and the Engineering students in particular with IEEE Pharos Student Branch and to encourage them to take part in the Student Branch scientific activities that in turn could help the students to develop their potentials and actively engage in fieldwork. 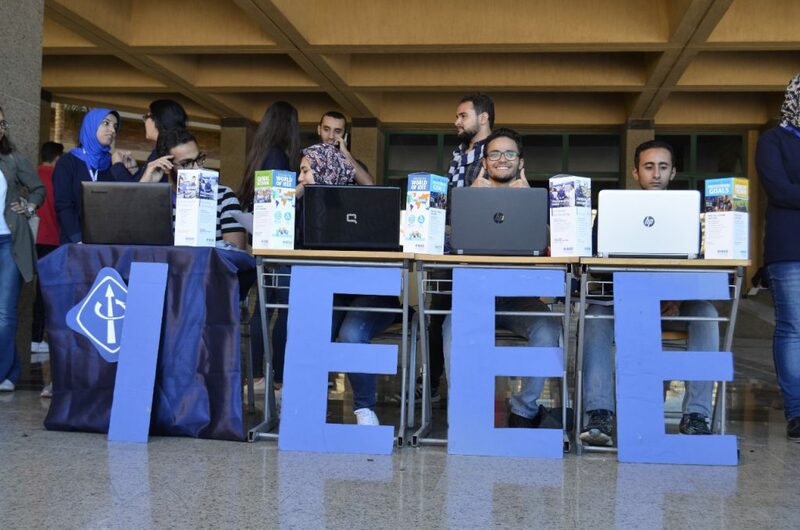 During the session, IEEE students gave a full description of IEEE-PUASB activities that have already been done alongside its future activities plan for the academic year 2017-2018. 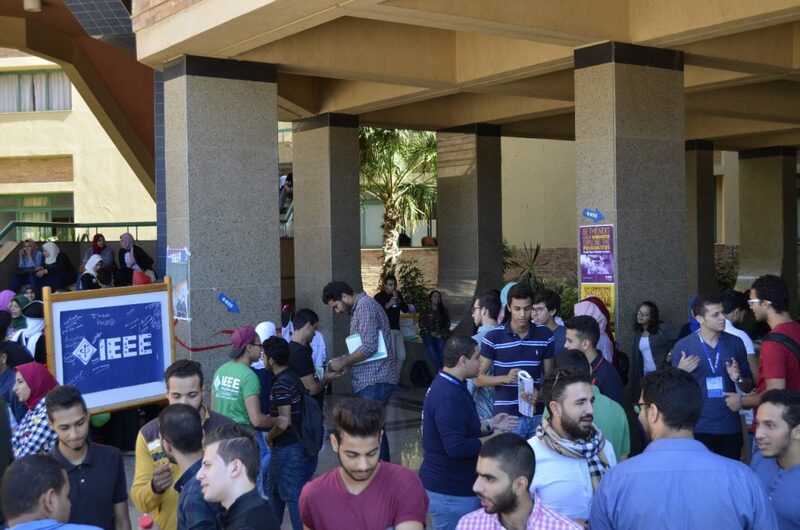 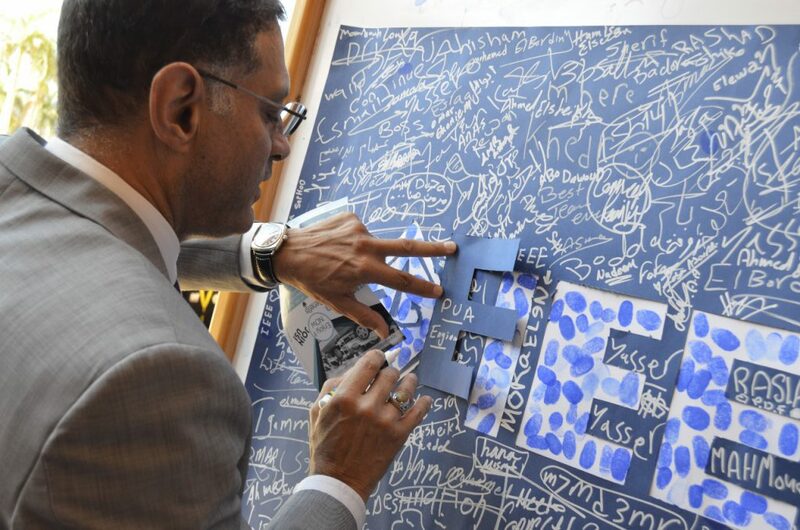 The session was held in the presence of Prof. Mohamed Gaber Abu-Ali, the Dean of the faculty of Engineering who was keen to get acquainted with the students and get them more acquainted with the Branch’s current and future activities. 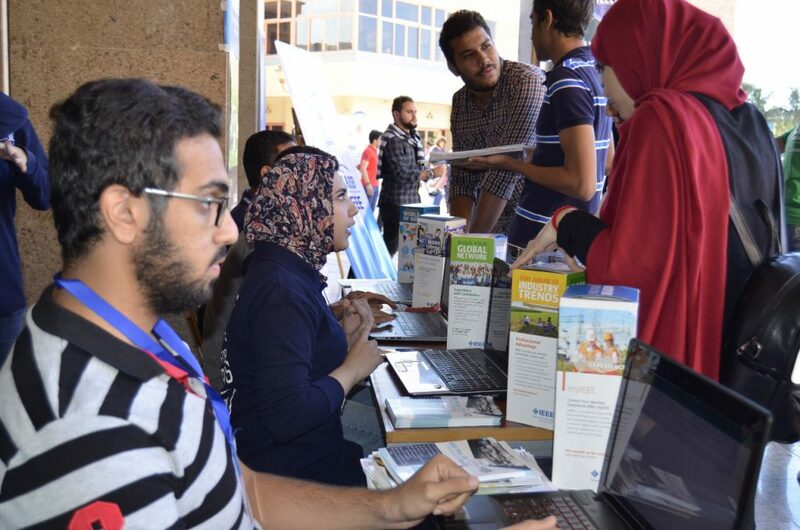 By the end of the orientation session, PUA students, from different faculties, were interested in registering for IEEE-PUASB.